Established in 1992, Anthropologie is part of the Urban Outfitters family. The brand has an eclectic style, which incorporates numerous different types of influences, from international travel through to the very best of vintage fashion and design. 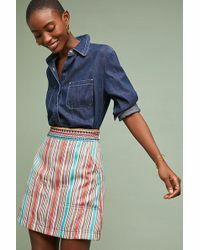 The line of skirts from Anthropologie includes block colour pleated skirts, metallic midis and tapestry pencil skirts. 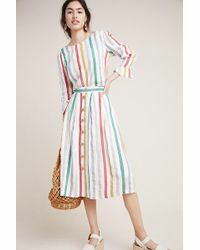 There are velveteen designs, skater skirts and pixie skirts, as well as loose, flowing maxi skirts. 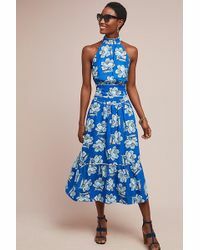 The range also features statement leather skirts and stand out apron skirts to; it's the perfect choice for a skirt for any occasion, from home, to work, to a night out.